DUI Charge Bail Bonds | Bail Bonds and Arrest Info. If you or someone you care for has been arrested on a DUI charge, also known as DWI, or “driving under the influence,” we’re here to help. 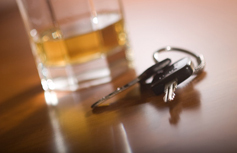 For immediate DUI charge information, call SCV Bail Bonds anytime, at 877-422-4591 or call one of our local numbers. Which says that it is unlawful for any person who is under the influence of any alcoholic beverage or drug, or under the combined influence of any alcoholic beverage and drug, to drive a vehicle. Which says it is unlawful for any person who has 0.08 percent or more, by weight, of alcohol in his or her blood to drive a vehicle. Q: Is this the first time they’ve been arrested on a DUI / DWI offense? If it is, a bail bond may not be required. You may see or hear that their bail has been set at a certain amount between, $1,000 to $5,000. However, this is typical bail amount based on the Los Angeles County bail schedule. The arrestee may be required to sit in the jail cell for approximately 8 hours to be allowed to “sober up.” We always recommend that our clients wait at least 8 hours to find out what decision will be made and if the defendant will be released on their own. As such, the jailer may release the defendant on an O.R., also known as their “Own Recognizance.” In this case, they will be released without the need of any “financial security” such as a bail bond to make certain they’ll return to court. They may also be “Cited Out,” or released on citation. Which means they will be trusted to get to court on their own. In either case, you will not require a bail bond. Q: Have any of the following situations occurred? If so, it may be necessary to procure a bail bond for the arrestee. 1) Has there been a prior DUI / DWI arrest or any other past arrest or citation with regards to the defendant driving while intoxicated? If the answer is yes, a bail bond may be required. 2) Is the driver under the age of 21? 3) Has an accident or injury occurred? If the answer is yes, (whether involved with another vehicle, or only one vehicle was involved,) a bail bond may be required. 4) Was there another passenger in the vehicle who is a minor? 5) Was there significant speeding or reckless driving involved? If you answered “yes” to any of the above, and you have further questions about a DUI arrest anywhere in California, call us anytime, 24 hours a day from any state at toll-free 877-422-4591. Our licensed, caring agents will walk you through the bail process step-by-step. They’ll make sure you have all the details you’ll need before, during and after procuring a DUI bail bond for your family member, friend or loved one. For more DUI laws, regulations and information, log onto the California Department of Motor Vehicles website. You can also see our informative Bail FAQ’s page for additional bail bond information. We’re always here to help.